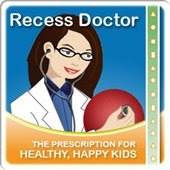 Peaceful Playgrounds | Recess Doctor Blog: A Dozen School Grants for Physical Activity, gardens, obesity and sports. A Dozen School Grants for Physical Activity, gardens, obesity and sports. 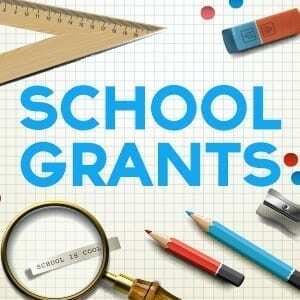 Check out our list of grant opportunities now available to schools and sports teams. The U.S. Soccer Foundation grants support soccer programs and field-building initiatives in the U.S. that keep children in underserved communities active, healthy, and safe. The Finish Line Youth Foundation strives to make a difference in the lives of youth in the communities where employees and customers live, work and play. The Foundation financially supports opportunities for participation in youth programs that place an importance on youth development and an active lifestyle. Project Learning Tree is currently funding projects that include school/community native plant gardens, forest improvement projects, streamside restoration, recycling programs, and energy conservation projects for students. The Kids Run the Nation Fund assists running clubs, events, and schools that are interested in implementing or currently have a youth running program. The Baseball Tomorrow Fund is a joint initiative between Major League Baseball and the Major League Baseball Players Association. The purpose of this funding is to promote and enhance youth participation in baseball and softball and address the needs unique to each community. The All About the Fruits and Veggies grant program will provide youth garden initiatives with gardening supplies, curriculum, soil amendments, and plants to help create engaging nutrition and gardening experiences. The National Institutes of Health is accepting Research Project Grant (R01) applications from institutions and organizations that propose randomized clinical trials testing novel home- or family-based interventions for the prevention or management of overweight in infancy and early childhood. Tested interventions can use behavioral (including dietary and physical activity), environmental, or other relevant approaches. Applications should focus on infants and young children and emphasize the role of home environment and the influence of family/extended family members and parents. The USDA Food & Nutrition Services (FNS) announces the availability of funds to conduct comprehensive school wellness policy surveillance at multiple levels, including state- and school district-levels. The Blue Ribbon Foundation has established a Mini-Grants process to make smaller amounts of funding available for community health and human services programs. The purpose of this grant program is to fund improvements at public schools in the United States. Projects should fall into one of the following categories: technology upgrades, tools for STEM programs, facility renovations and safety improvements. The W.M. Keck Foundation seeks to promote the education and healthy development of children and youth, strengthen families and enhance the lives of people in the greater Los Angeles area through its support of organizations that provide early childhood education and health care. Fuel Up to Play 60 awards grants to schools enrolled in their wellness program that may be used for a variety of activities and tools that jumpstart and sustain healthy nutrition and physical activity improvements. Funds can be used to conduct in-school promotions focused on creating a healthier school and to implement Healthy Eating and Physical Activity Plays. Funds can also be used for professional development, nutrition education materials, and physical education equipment and materials. For additional grant opportunities check out out School Playground Grants Page and download free grant writing templates. 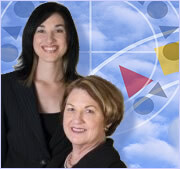 Ten Tips for Getting your School Grant Funded.